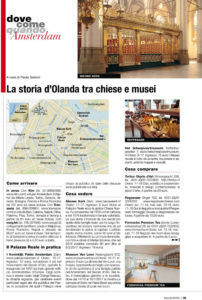 National and international Newspapers regularly report on the Amsterdam Canal District. Here’s a selection. 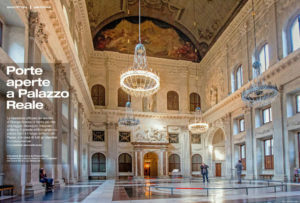 The Italian Magazine Bell’Europa (October 2016) published a beautiful article about the Royal Palace in Amsterdam, written by Paola Testoni. 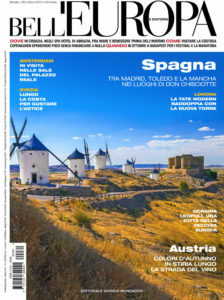 In the same issue of Bell’Europa (October 2016) two pages on what to do, where to eat and sleep in Amsterdam, especially in the Amsterdam Canal District. 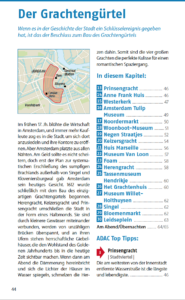 The German travel guide ADAC about Amsterdam covers all major attractions. The guide contains extensive background information, clear photography, clear maps and practical information. A separate chapter is devoted to the Amsterdam canals. But first a few general tips about Amsterdam. 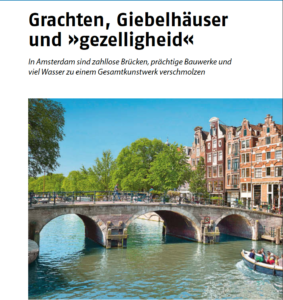 In the same travel guide a number of pages are dedicated to the canals, the houses with their canals and the Amsterdam “cosiness”. 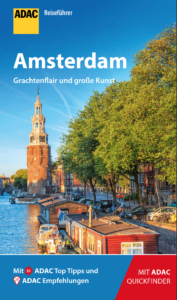 And finally a chapter about the Amsterdam Canal District in the travel guide.